The 2016 World Series was the 112th edition of Major League Baseball's championship series, a best-of-seven playoff between the National League (NL) champion Chicago Cubs and the American League (AL) champion Cleveland Indians, the first meeting of those franchises in postseason history. The Indians had home-field advantage because the AL had won the 2016 All-Star Game. 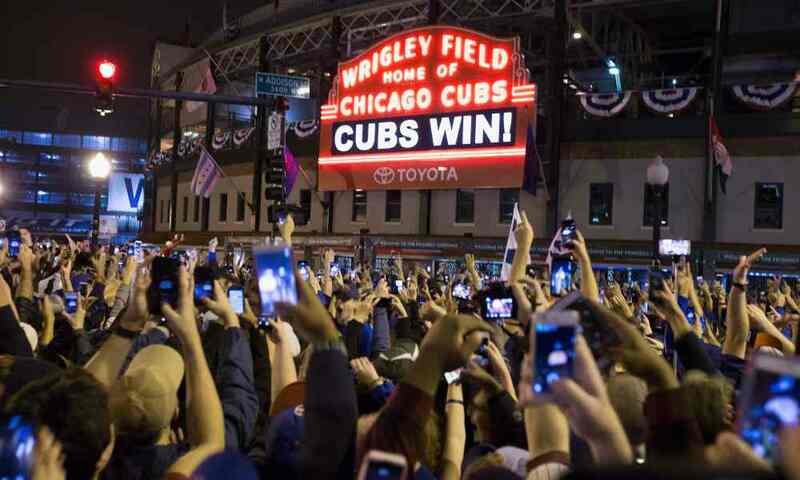 The Cubs defeated the Indians in seven games, their first World Series victory in 108 years. They clinched the Series in Game 7 with an 8–7 win in extra innings, marking the fifth time that a Game 7 had gone past nine innings, and the first one to have a rain delay, which happened just as the tenth inning was about to start. It was only the sixth time in World Series history that a team came back from a deficit of three games to one to win a championship. This was the third consecutive year that the visiting team won the deciding game of the World Series. The Cubs, playing in their eleventh World Series and their first since 1945, won their third championship and first since 1908. It was the Indians' sixth appearance in the World Series and their first since 1997, with their last Series win having come in 1948. The two teams entered their matchup as the two franchises with the longest World Series title droughts, a combined 176 years without a championship. Cleveland manager Terry Francona, who had previously won World Series titles with the Boston Red Sox in 2004 and 2007, fell short in his bid to become the third manager, and the first non-Yankee manager, to win his first three trips to the Fall Classic, after Casey Stengel and Joe Torre. The Cubs were the sixth team to come back from a three games to one deficit to win a best-of-seven World Series, following the 1925 Pittsburgh Pirates, the 1958 New York Yankees, the 1968 Detroit Tigers, the 1979 Pittsburgh Pirates, and the 1985 Kansas City Royals.